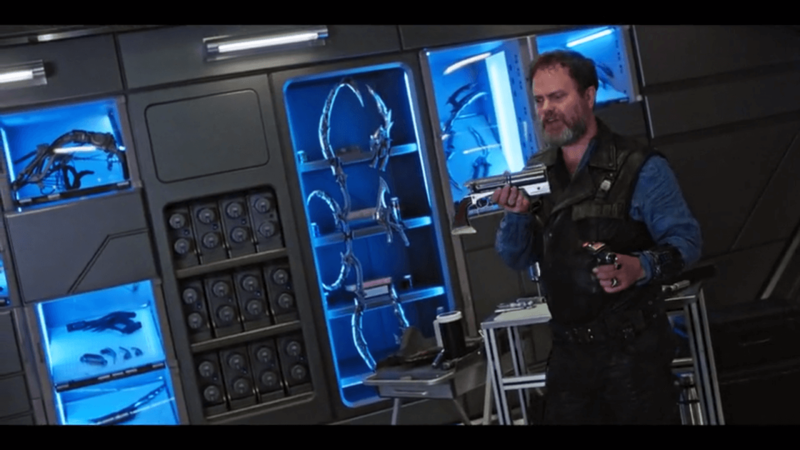 “Magic to Make the Sanest Man Go Mad” is not only an interesting title, it may be the best episode of Star Trek: Discovery this season. The return of Harry Mudd, a death montage (non-permanent), and a temporal time loop to make Bill Murray jealous, make up of fun-filled episode. 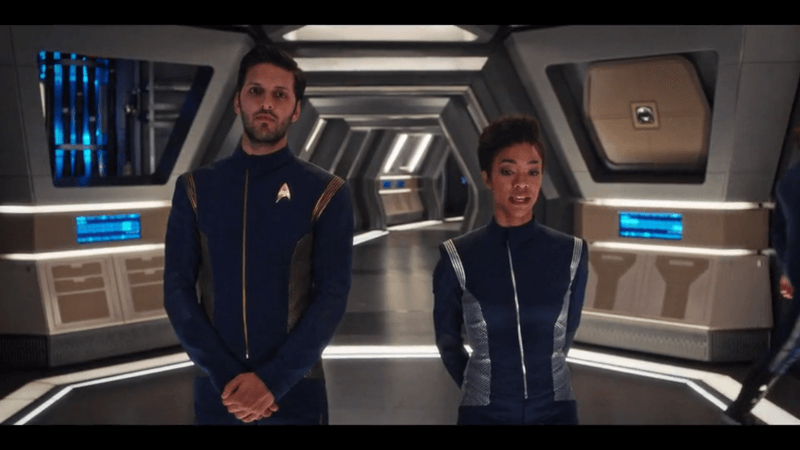 Last week saw a lot of themes from the older Star Trek’s start to meld into Star Trek: Discovery, and this week is no different, beginning with a voiceover by Michael Burnham reminiscent of a captain’s log. Burnham outlines her personal struggles with dealing with things outside of her work and comfort zone, like the party being thrown aboard the ship. So far in Star Trek: Discovery, Burnham has had some trouble developing character-wise, as her half human, half Klingon nature not only causes difficulty in the show, but is also somewhat difficult to execute for Sonequa Martin-Green to really nail as well. “Magic to Make the Sanest Man Go Mad” does help give some insight into those struggles though, while also proving to be a fun romp simultaneously. Time loops aren’t anything new when dealing with the Sci-fi genre, and because of that, it can be difficult to make them feel fresh. While there is some redundancy in reusing scenes, it’s never to the point of overbearing, a lot of which is thanks to the performances put on by the cast. Paul Stamets has been acting a bit strange ever since he mixed his DNA and activated the spore drive on himself, essentially becoming the Discovery’s new Tardigrade, and we see that goofy (somewhat high) attitude at the start of the episode. This episode does a great job blending that attitude together with the previously over snarky vibe he displayed at the start of the season, mixing in a fair amount of humor and a touching tale of how he and Dr. Culber met as well. This comes as a result of Stamets being the only person to be capable of remembering the events of the previous time loops, aside from the one who started it of course, Harcourt Mudd. Criticisms of Rain Wilsons portrayal of Mudd versus the original, done by Roger C. Carmel, he plays a fantastic antagonist in “Magic to Make the Sanest Man Go Mad.” His cocky, arrogant swagger really makes it more satisfying when he does finally lose, especially since we get to see him essentially “die” over and over. He dies no more or no less than anyone else on the Discovery though, as each loop ends with either everyone blowing up or Mudd killing in gruesome ways before they do. While I love Captain Lorca’s complex character so far in the series, the death montage was definitely a highlight. One thing that really didn’t fit this episode was the music throughout it. Mostly I am referring to the song that played in the episode that sounded like an odd bastardization of the Bee Gees mixed with rap (possibly The Fugees). It didn’t entirely take away from the plot of the episode, but they just don’t fit on a 23rd-century spaceship. 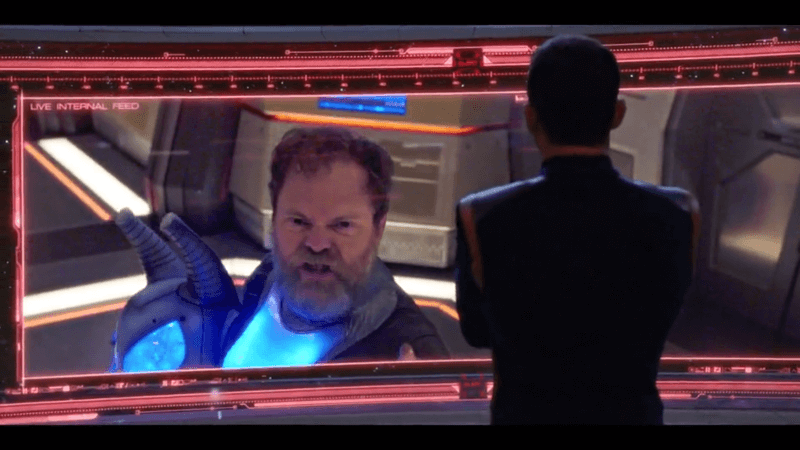 Ash Tyler and Michael Burnham’s relationship was also on full display in episode seven, as Stamets regularly went to them as a way of trying to defeat Mudd. The two characters certainly have chemistry, resulting in a kiss and a line about how Tyler was sad “They missed their first kiss,” but I am considerably worried for what the future holds regarding their relationship thanks to a certain fan theory. While it may not have had much of an impact on the main plot line, serving as a fun one-off, “Magic to Make the Sanest Man Go Mad” continues to show Star Trek: Discovery can deliver its own brand of Star Trek magic. 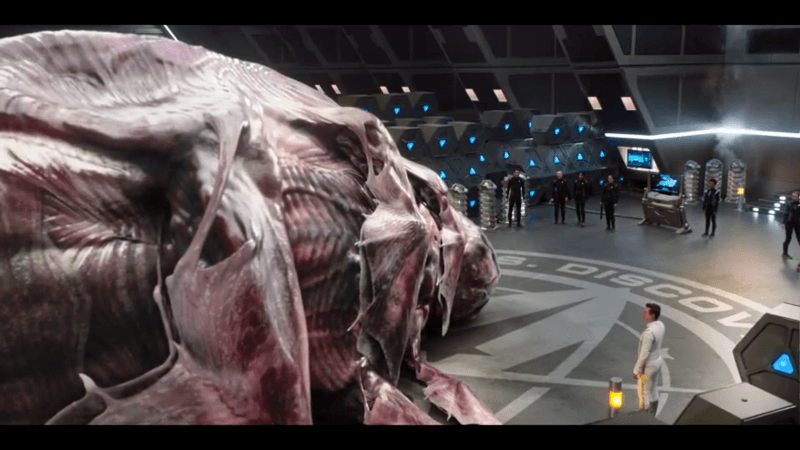 Verdict: “Magic to Make the Sanest Man Go Mad” is all the fun Star Trek fans would find Star Trek: Deep Space Nine, mixed with the characters we’ve come to know on the Discovery. While this certainly isn’t the last we have seen of Mudd, he made for a memorable Villain, one which resulted in some character development, a forgotten romance, and a whole lot of death. What did you think of the most recent episode of Star Trek: Discovery? What scene or scenes did you like the most? What are your predictions for the rest of the debut season as things begin to unravel? Be sure to let us know in the comments below. Also be sure to check back to the site each Sunday after the most recent episode of the show airs on CBS All Access for the site’s official review.